The FIM Superstock 1000 European Championship is entering the final phase. 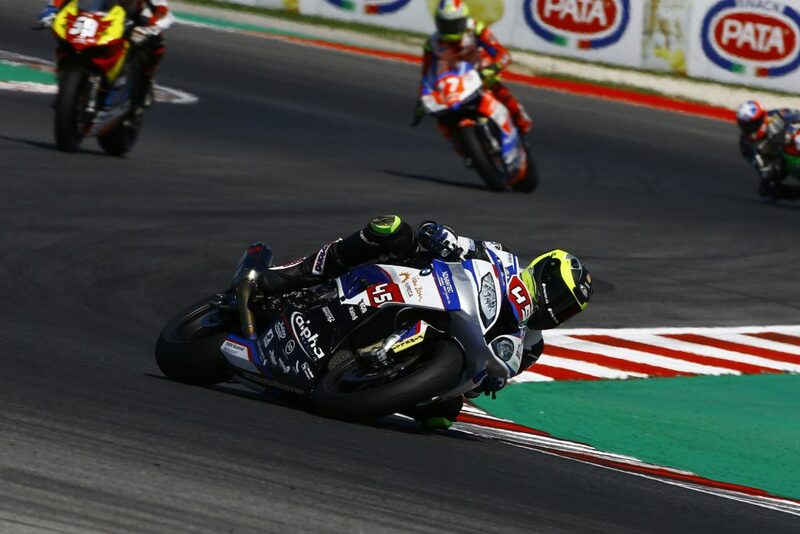 The championship leader Markus Reiterberger sees himself in the sixth of eight rounds of the season in Misano exposed to strong competition. 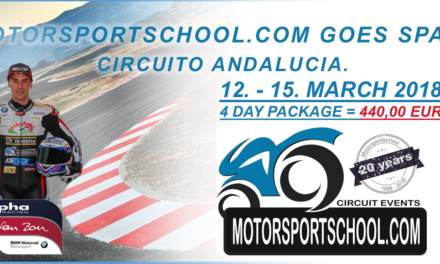 To the two close pursuers in the race for the championship, Roberto Tamburini and Maximilian Scheib, strong guest starters are added. 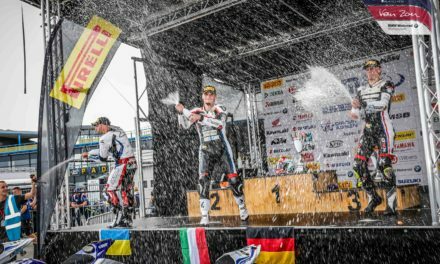 Alpha racing-Van Zon-BMW rider Jan Bühn also has high expectations for the race weekend on the Adriatic. That it would be a hot race weekend, was clear to all parties already for the first free practice on Friday morning. With asphalt temperatures of up to 34 degrees, it was the race tactics to match these weather conditions. 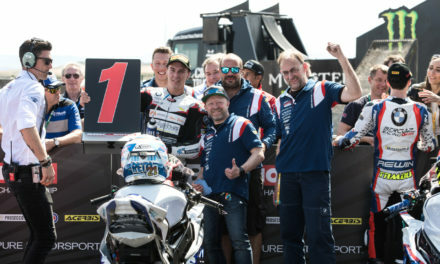 With an almost perfect lap Markus Reiterberger secured the fastest lap time. Jan Bühn, who was already struggling with braking problems in the first free practice session at the previous race weekend in Brno, had to settle for 15th place. In the second free practice Reiterberger again set the fastest times in all sectors. Over the 30-minute session, he beat his best from the FP1 four times. Finally it was a 1:36.548 min lap time on the monitor – with more than half a second ahead of Ducati rider Matteo Ferrari and Aprilia factory rider Maximilian Scheib on the ranks two and three. For the race setup very positive – Reiterberger used for his fastest lap a set of used tires, while the direct competition raised a new set of tires. Jan Bühn improved by adjusting the setup, which gave him more feeling for the front wheel, in the last minute on P13. The last free practice session on Saturday morning was used by Reiterberger and Bühn as the final rehearsal before qualifying to find the finishing touch on new tires for the BMW S 1000 RR. Due to heavy traffic on the track, Reiterberger did not put a perfect lap on the tarmac and had to settle for a 1:36.075 min. 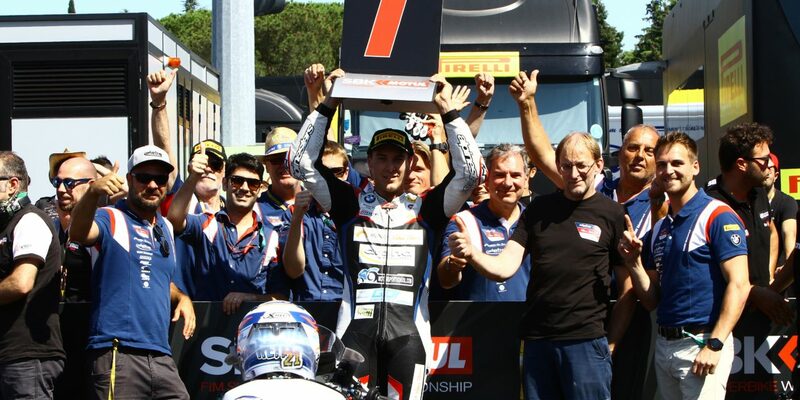 The 1:35 mark he should not crack now, but still took first place with 0.391 seconds ahead of Roberto Tamburini. Jan Bühn crashed during his session, due to a failed shift in a lean angle position, but was able to resume the training after a short stopover in the pit lane. With 1:38.384 min he came close to his personal best from the FP2. When starting into qualifying, the thermometer showed 29°C air temperature. The asphalt had risen again to over 48°C. Reiterberger then delivered in his first flying lap. With 1:36.139 min he already undercut the existing pole record of Lorenzo Savadori from the year 2015. While his opponents only reached single fast laps, Reiti set 1:36 times lap by lap. However, the high temperatures did not allow him to match his personal best from the FP3. The 24-year-old secured his fifth pole position in the sixth race weekend of the season. Pole record included. Jan Bühn was repeatedly disturbed by slow-riding competitors during several promising laps, securing 12th on the grid with a time of 1:37.534, shortly before the end of the session. The strategy for the race was set – Reiterberger had to push hard from the start, to get out of trouble and come safely over the distance. 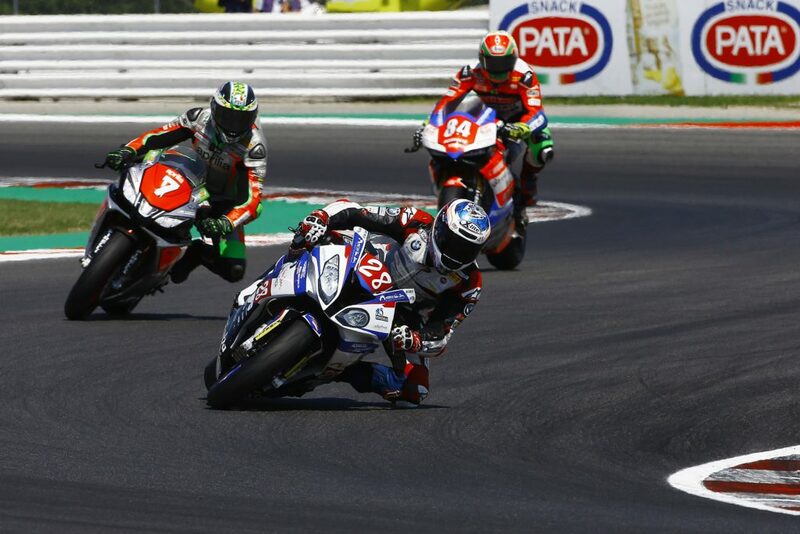 After a good start to the 15 scheduled laps, the two toughest pursuers, Scheib and Tamburini, bit into his slipstream. But after the first lap only Scheib remained close to the 24-year-old Bavarian. Jan Bühn struggled with his clutch at the start and was only 17th after the first lap. In lap three, Markus Reiterberger set a new race record and undercut the existing record from 2016 with a 1:36.474 min. However, Reiterberger was only able to distance himself from his Aprilia competitor Scheib from the fifth lap onwards and brought a few meters between himself and fast Chilean. With consistently fast lap times, Reiterberger was able to manage the gap to runner-up Scheib and concentrate on the difficult track conditions. The track temperature of over 47°C kept tires #28 constantly on the edge of slipping. After 15 laps, Reiterberger crossed the finish line with a two-second advantage over Maximilian Scheib. Jan Bühn scored an exciting catch-up with Vionnet, Bernadi, Santoro and Salvador and was ranked 13th in the end. 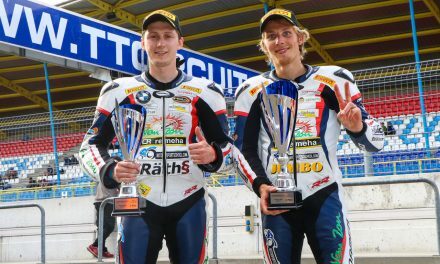 This means three hard-won championship points for Jan Bühn and an expansion of the championship lead to 14 points for Reiterberger. 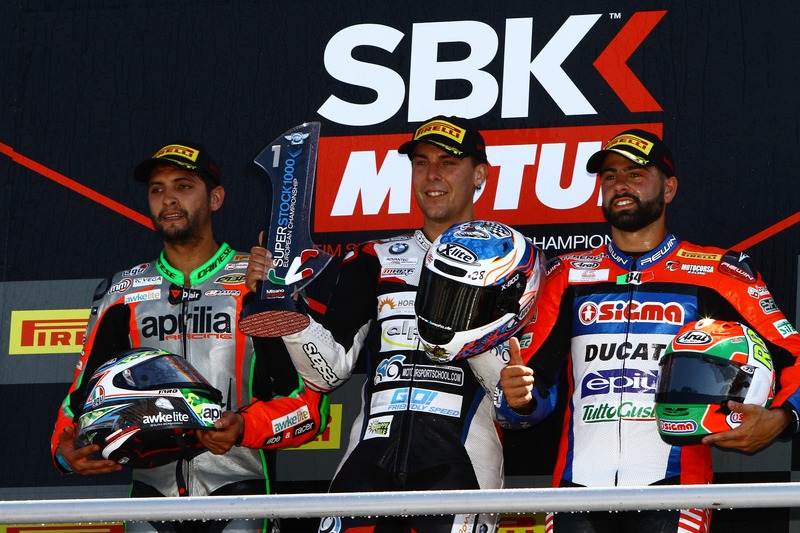 In this year’s STK1000 season there are still two races left to compete. From September 14th to 16th, the STK1000 Championship will be in Portimao before the season finale at Magny-Cours from September 28th to 30th. Previous(DE) STK1000 | Reiterberger baut in Misano die EM Führung aus.